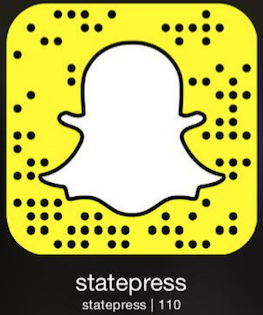 Letter to the Editor: Wellness @ ASU What is it? Michael Navarro is a junior studying business entrepreneurship and minoring in nutrition. His primary career goal is to start a business that works to eliminate misinformation about nutrition and exercise. Wellness @ ASU impacts student lives through health education programming throughout the campus and in the residence halls. Working in the offices at the SDFC or putting together programs in the dorms, Wellness Supervisors and the Well Devil Ambassadors in the residence halls work diligently to create educational and engaging events. Throughout the week, the wellness staff brainstorm ideas for their weekly programs such as Tasty Tuesday, a program that covers a variety of nutrition topics ranging from pie on pi day to macronutrients. The Wellness Wheel includes nearly all the topics covered by the wellness team. Since students face a lot of stress and mental challenges, there is a lot of focus on mental health programs. For example, therapy dogs will sometimes hang around the SDFC so students can take a moment to relax, pet the dogs and relieve stress. Other topics covered include sexual health, tobacco and alcohol cessation and drug and opioid abuse education and resources. The goal of the wellness team is to promote healthy lifestyles and good lifelong habits. Each wellness student has a passion for improving lives through wellness and differ in which topics they decide to focus on and take interest in. For some, nutrition promotion is their wheelhouse while others prefer sexual health education. Through their different interests, Wellness @ ASU is able to provide programs, resources and support for everyone facing unique challenges. 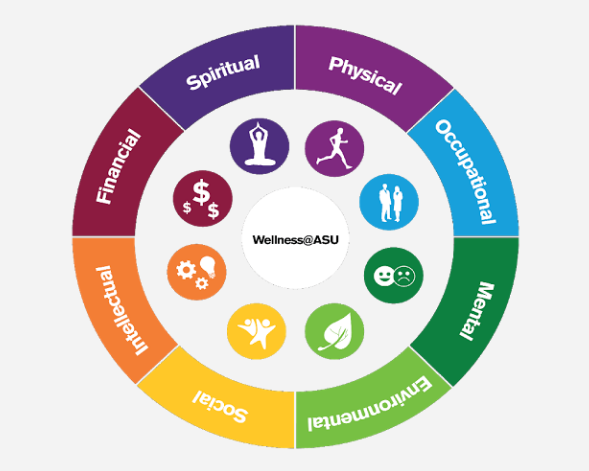 If you’re interested in learning more about Wellness @ ASU and upcoming programs, refer to Wellness @ ASU. Also, follow the Sun Devil Fitness Complex on social media channels such as Facebook, Instagram, Twitter and YouTube to stay connected to everything that’s happening at the SDFC! Reach the writer at navarro.michael20@yahoo.com or follow @SunDevilFitness on Twitter.